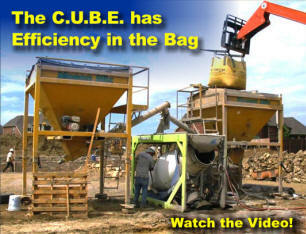 The CUBE Solves Portable Concrete Batching Challenges. 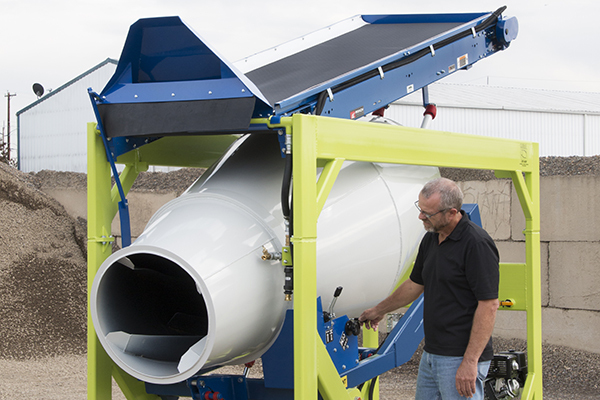 Producing ready-mix from your own portable concrete batch plant will relieve so many headaches on your next project. 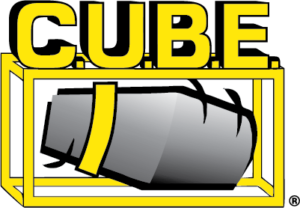 The CUBE is a proven solution at a variety of job sites. At a full 1 ½ yard capacity, the CUBE is much larger than other contractor portable mixers, yet is compact enough to throw on a flatbed or small trailer to go to a mountaintop or other remote site. 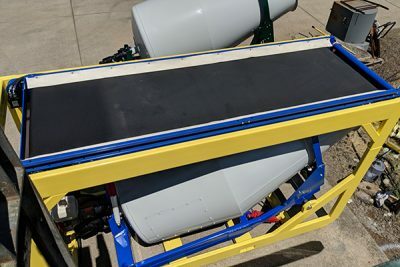 This portable concrete batch plant can be moved by helicopter, picked by a crane, forked with a telehandler or loaded into a shipping container for military deployments. The Cart-Away CUBE is the portable concrete batch plant of choice by NATO and the US Navy SeaBees. CLICK HERE to read some of the many unique jobs that the CUBE has completed. The CUBE is proof that several concrete batching solutions can be put into one box. The CUBE, short for Cart-Away Universal Batching Equipment, allows users the flexibility to control most aspects of job-site ready-mix production. Operators can control their batch size, mix design, labor costs and overall ready-mix expenses on every project. On-site batching eliminates short-load fees, reduces labor costs by waiting on ready-mix trucks and gives the profits from ready-mix to the CUBE owner. The CUBE is simple to operate. The CUBE comes standard with a 36″ by 120″ sand and gravel conveyor that can be top-loaded by a skid steer, backhoe or front loader. The CUBE can produce 6 to 8 yards of concrete per hour in a specific mix design. 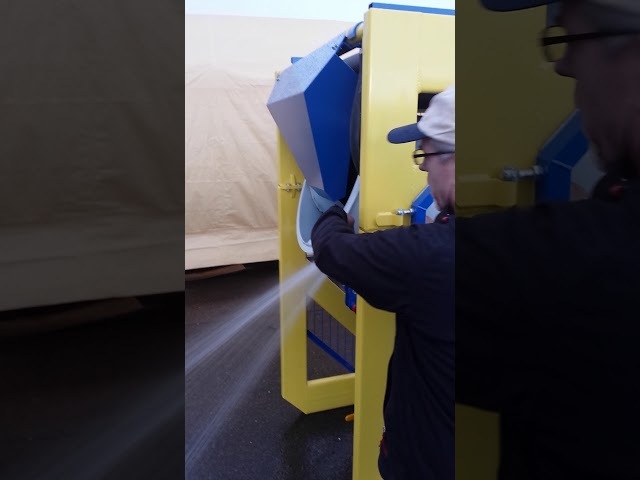 The loading, mixing and dispensing of the concrete materials are all completed inside of the box, reducing the amount of equipment needed at the job-site. The mixing process is simplified due to the onboard material loading conveyor. 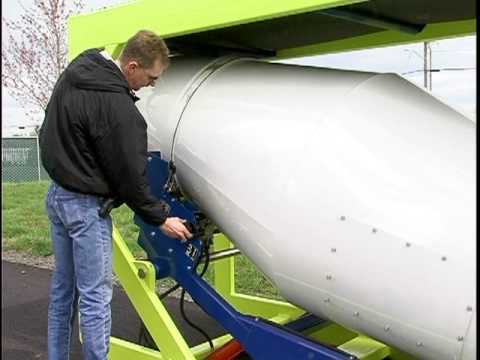 Just load the top-mounted conveyor with the sand and gravel and it will flow into the drum for mixing. 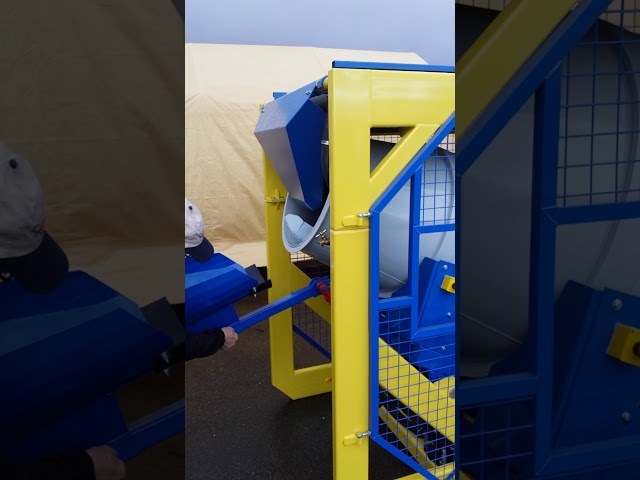 The CUBE can be ordered with an optional hydraulic actuated bag breaker for loading in the powdered cement into the drum. Water is added directly into the drum from plumbing that hooks to a standard garden hose. 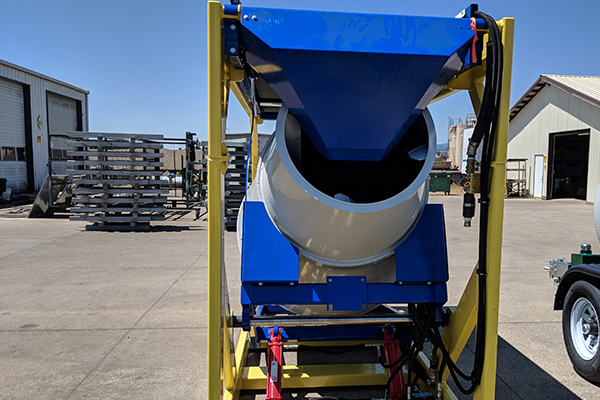 The drum spins in both directions for mixing or discharging and the tilting frame allows for dumping the wet concrete into a loader bucket or wheelbarrow for distribution. 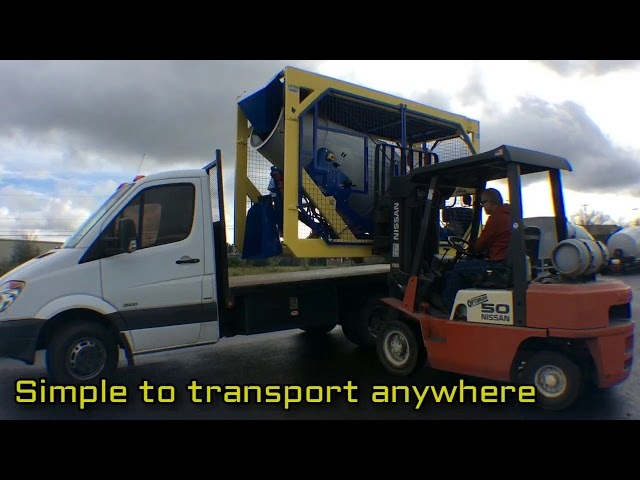 When you need remote mixing or a completely portable concrete batch plant, you need the Cart-Away CUBE. It is compact, rugged and efficient. 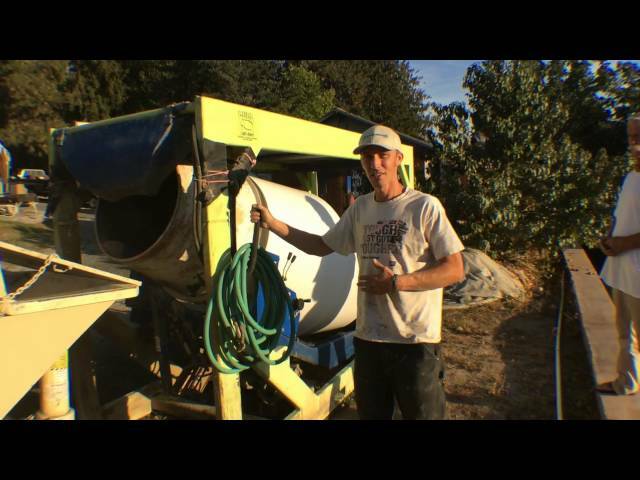 Northwest Precision Concrete uses the CUBE for their most difficult concrete pours. It is a portable concrete mixer that has been a excellent investment for the company. Try Before You Buy – Full 65% of Rental Applied! Full 65% of Rental Applied! The CUBE solves many remote batching problems that kill profit. We will partner with you to make more money from your concrete projects through our rental programs. Every rental CUBE that we have put in service during the past 5-years has been sold. We are confident that you will want to use this mixer over and over again. You can choose a Standard Rental or a Rent to Purchase. We put a few Cart-Away CUBEs into the rental fleet each year. CUBEs rent for as low as $1100 per week or $3300 per month. Rent it as long as you want, and then we will give you credit for 65% of your on-time rentals toward the purchase. Or just send it back and wait to rent it for another job, the choice is yours. Call our rental specialists at 888-649-5464 to get all of the details. You will love this mixer! Your best choice for a portable concrete batch plant is the Cart-Away CUBE. Let us build you one of these robust and versatile concrete mixers.